It’s been a little over one hundred years since the ill-fated attempts of Captain Scott’s Terra Nova Expedition and Ernest Shackleton’s Ross Sea Party to reach the South Pole took place. Only conducted a couple years apart, these two Antarctic expeditions are legends of loss and tragedy. 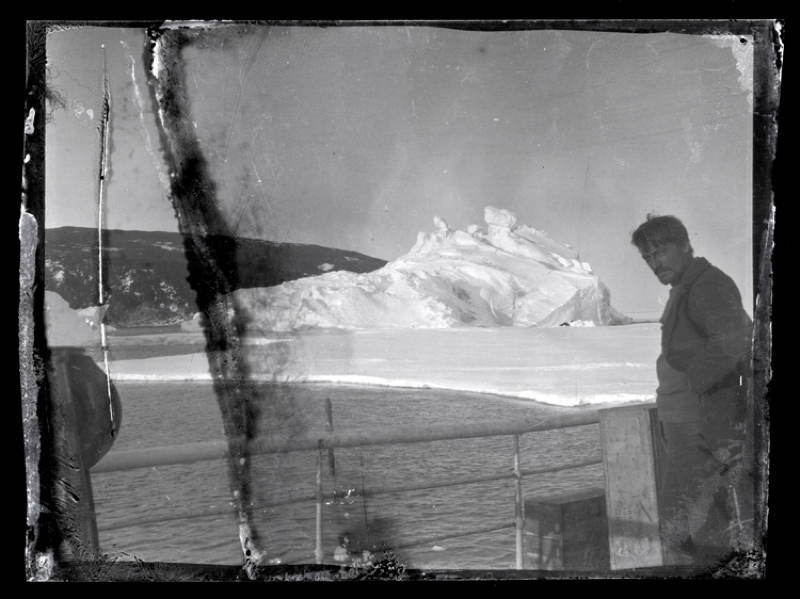 The two voyages have more in common than their quests to reach the South Pole, the use of the same supply shacks en route, and similar fates; they’ve both had lost photos turn up nearly 100 years after the fact. The first Briton to attempt the Antarctic expedition – as well as having his photos discovered – was Captain Robert Falcon Scott, who for the first half of the century was considered a hero, and in the last half saw criticism for being an “amateur explorer” whose miscalculations, poor planning, and poor execution led to crew members’ deaths. The photos of his final months had been presumed lost for decades, but finally resurfaced in 2001 in the basement of a major photography agency. The photos were sold off at a New York auction house, with ownership battles being fought for some time before they were able to be released to the public. Though not a photographer- and only briefly trained by crew photographer Herbert Ponting- through film Scott was able to immortalize aspects of the treacherous terrain and hardships suffered in the months leading up to his death. 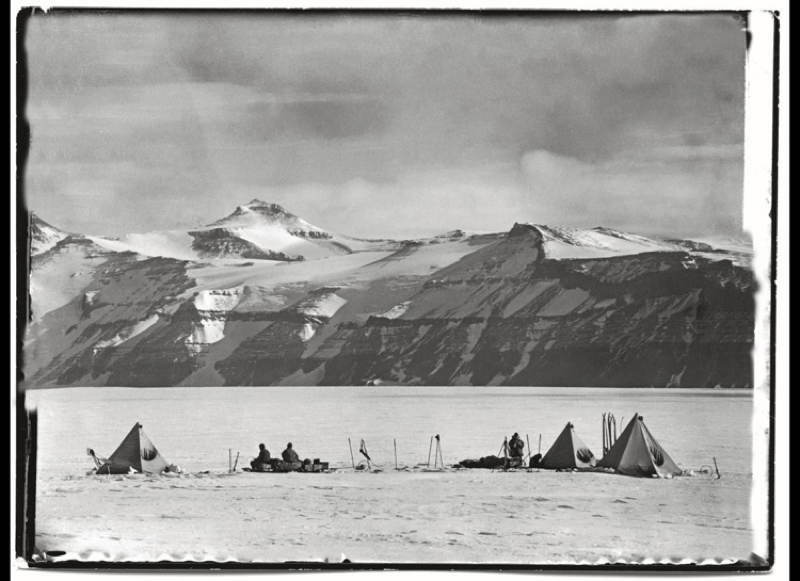 Until recently, the re-emergence of Scott’s photos had been the biggest find of the Antarctic voyages. 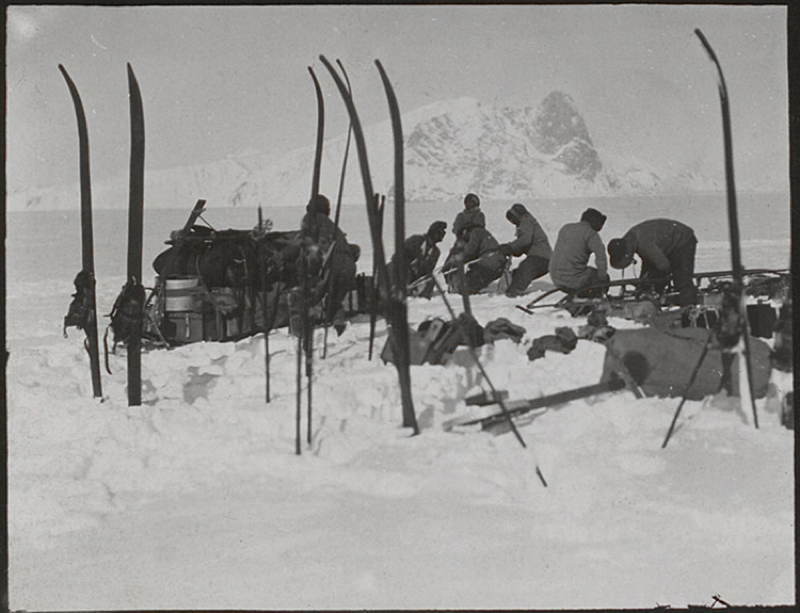 That is until a frozen chunk of celluloid was found in one of Captain Scott’s supply shacks, which was discovered to have been later used by members of Shackleton’s party. 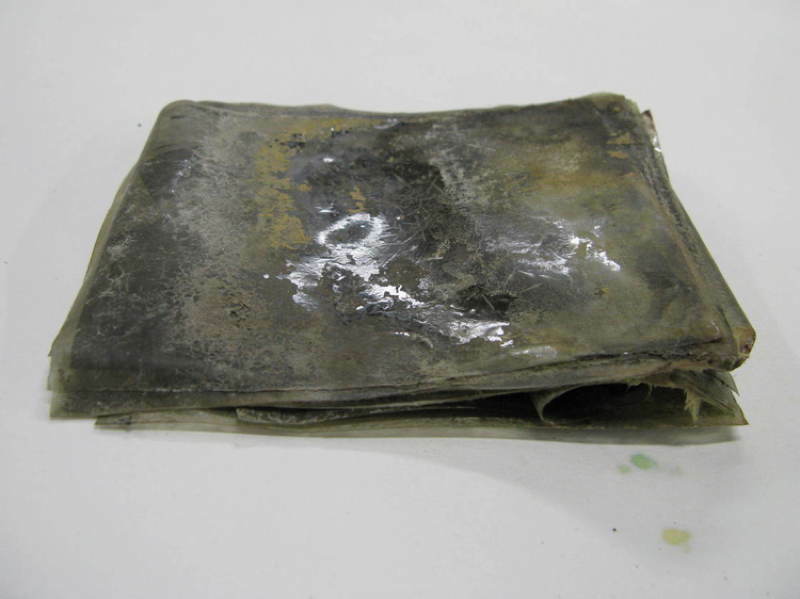 The celluloid block comprised 22 severely damaged photos (understandably so), presumably taken by the crew photographer of the Ross Sea Party. 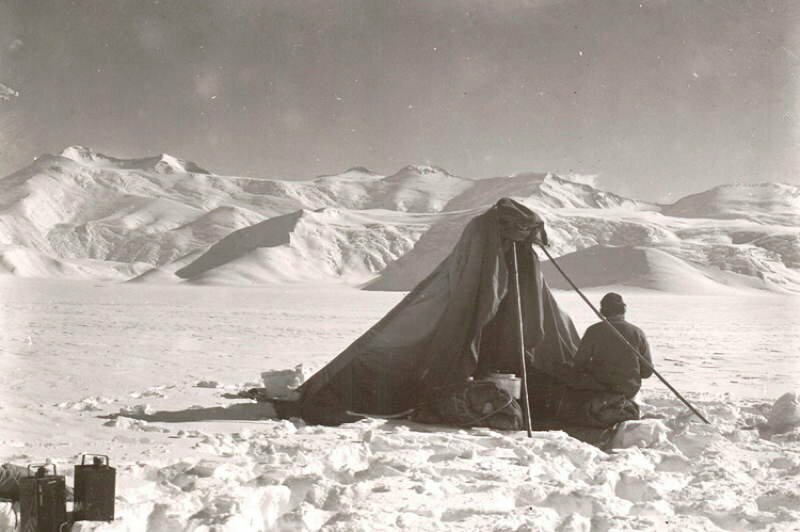 According to the Antarctic Heritage Trust, the identity of the photographer is not known, although the expedition’s main photographer was Arnold Patrick Spencer-Smith. Attempting to be the first man to cross the Antarctic by land to reach the South Pole, Ernest Shackleton took advantage of many of the same shacks that had been built by Captain Scott and his men, deciding to follow the steps of fatal failure instead of forging his own path. 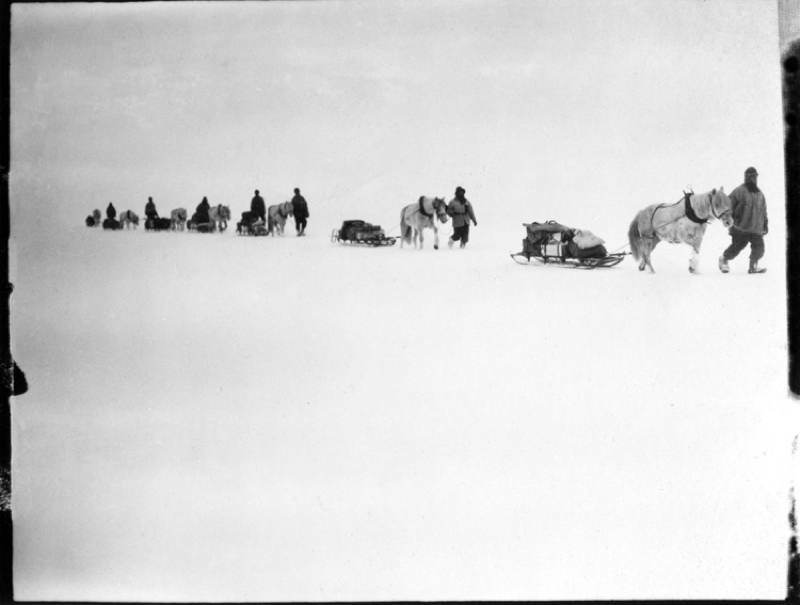 Shackleton never made it to the South Pole, however; he died of a heart attack in South Georgia. 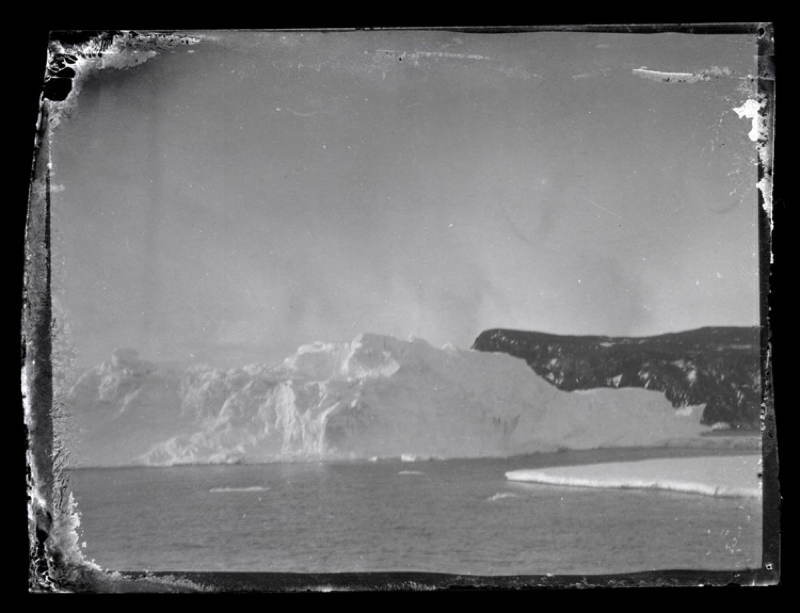 The negatives were found at Captain Scott’s final expedition base at Cape Evans. Located in the dark room that had been setup by Herbert Ponting, the images have been painstakingly conserved and restored, revealing never before seen images of the Antarctic landscape and even some of Shackleton’s crew — all in all, a treasure trove of Antarctica facts and pictures. 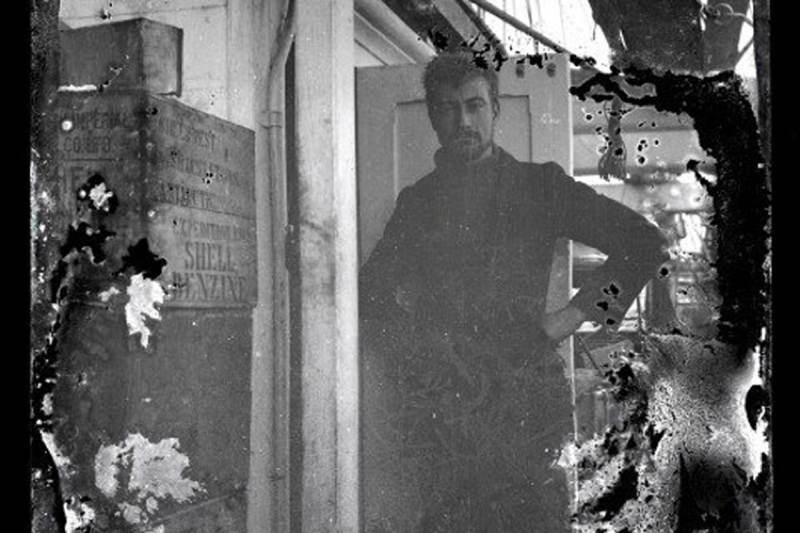 Two of the better preserved and restored images display Ernest Shackleton’s Chief Scientist, Alexander Stevens. 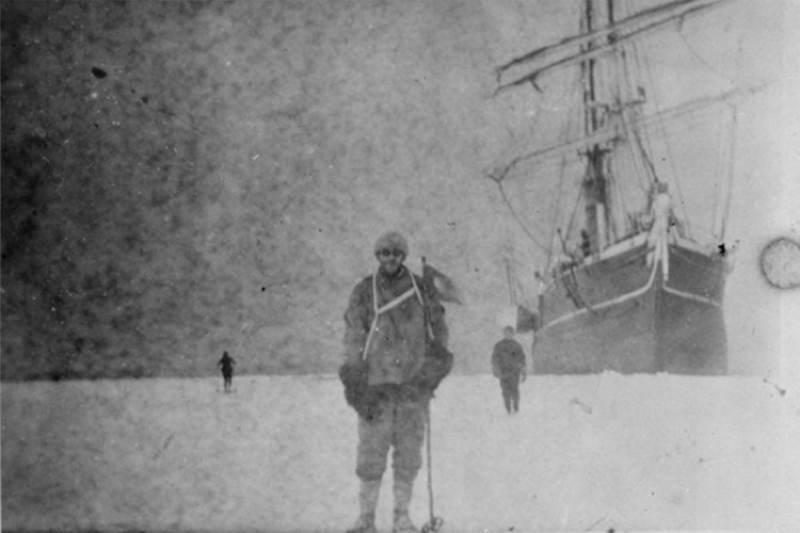 These two photographs in particular evoke a certain uneasiness in their black and white serenity, as the viewer knows full well what is about to befall the expedition. 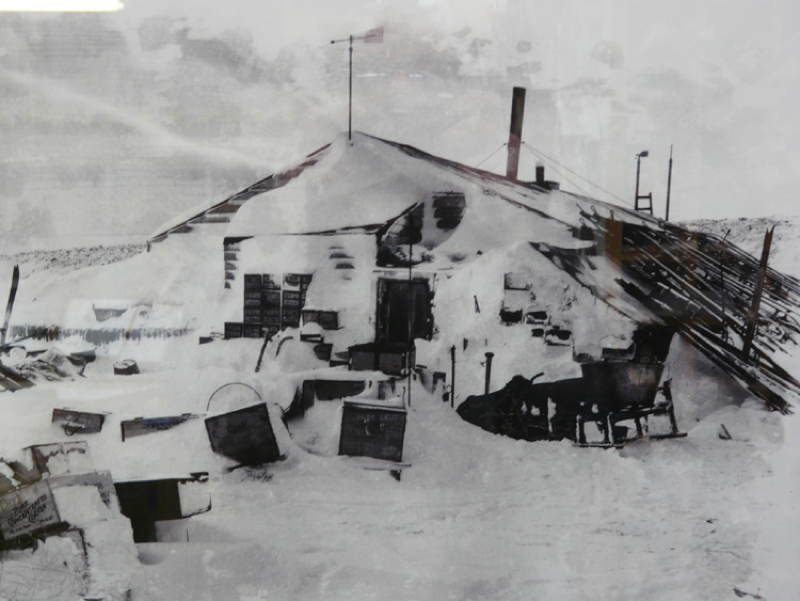 To date, more than 10,000 items have been recovered from Captain Scott’s Cape Evans Hut. 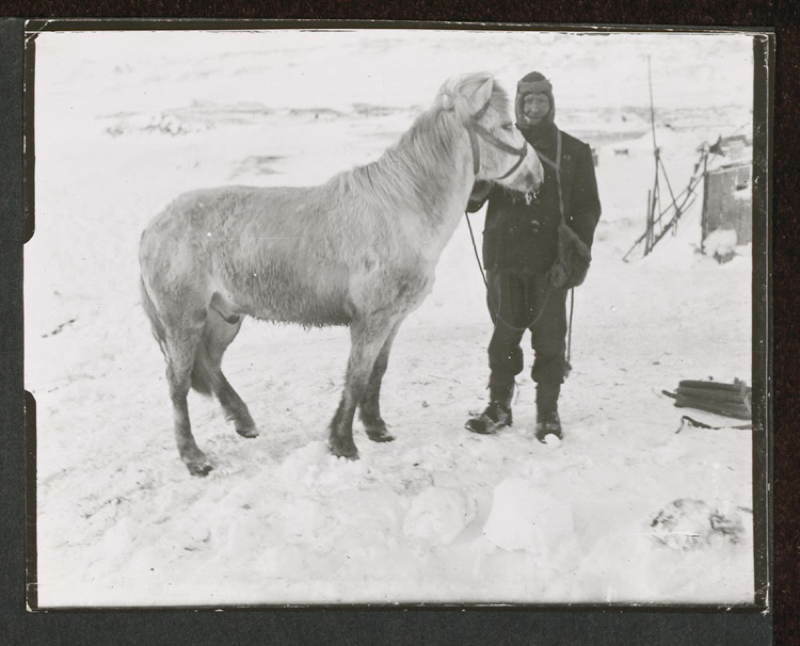 The negatives were discovered by The Antarctic Heritage Trust, which in 2010 found several crates of rare whiskey and brandy under Shackleton’s 1908 base camp. The full set of images from the Shackleton party is available online at Antarctic Heritage Trust. Next, have a look at some of the most incredible Arctic animal facts you’ll ever read.